Shaukat Thanvi is one of the eminent names in the history of Urdu literature. He was a journalist, poet, playwright, columnist, feature radio writer, director, humorist, and short story writer. He took many awards for his valuable services for Urdu. Shaukat Thanvi honoured with Tamgha Imtiaz by the government of Pakistan in 1963 after his death. Shaukat Thanvi was born on 2nd February 1904 in Bandarban (Mathura) now in India. His family name was Muhammad Umar. 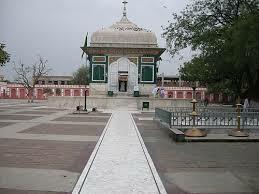 His ancestors belong to Thana Bhawan (Uttar Pradesh). So he adopted the name Shaukat Thanvi according to Thana Bhawan. Shaukat Thanvi started his primary education in Bhopal. After that, he went to Lucknow and took admission in Mission school. Shaukat Thanvi was not a good student. He had no interest to complete his academic study. He left the school and joined the newspaper “Hamdam”. Syed Jalib was the editor of this newspaper. He was a veteran journalist who gave the attention to the Shaukat Thanvi. Shaukat left the job and published his paper named “Toofan”, but it closed very soon. During the job in the newspaper, Shaukat started to write poetry and prose. He showed his capacity in novel writing and poetry. In 1938, he left the journalism and joined the all India radio as a playwright and broadcaster. After the partition of India and creation of Pakistan, he came to Lahore and joined Radio Pakistan Lahore station. He started feature writing. Here he began his super hit programme Qazi Jee and got fame. Shaukat was broadcaster and writer of the program. Meanwhile, he worked with Pancholi art pictures as a film story and dialogue writer. He has directed a film named “Gulnaar” also. In 1957, Shaukat Thanvi left for Karachi and continued his Program Qazi Jee in Radio Karachi. He started to write a humour column in daily Jang after the death of Majeed Lahori, who was writing earlier. In 1959, when daily Jang newspaper began to publish from Rawalpindi, he joined Daily Jang as an editor in Rawalpindi. He continued to write his column with the changed surname Waghera Waghera, and it ended with his death. 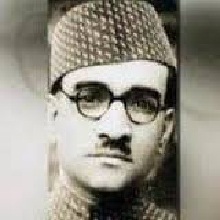 On 4th May 1963, Shaukat Thanvi died in Lahore. He buried in a graveyard in Lahore near the shrine of Hazrat Mian Meer R.A. May Allah forgive him and bless him with his unprecedented mercy. He was the emperor of humour. Shaukat Thanvi wrote more than fifty books on different subjects. He wrote on humour, sketches, memoir, autobiography, and poetry. Shaukat Thanvi was a natural humorist, and his humorous style reflects from all his writings. Following is the Shaukat Thanvi Book List, and you can download it to click on the link. If you like, you may read Ahmad Nadeem Qasmi Biography and Intizar Hussain: Biography and Literary Work. Thanks for your contacting Sheraz. Recently, We have no “Ma badolat” book. As it published on our site we provide you. bohat bohat shukria k aap ny Shoukat thanwi ki ketabain publish keen. Do ketabain aor bhi hain jen ka nam derj hony sy reh gaya aor ow haiin CARTOON aor doosri KUTIA. Omeed hy, INSHALLAH, jald hi aap wo bhi mohaia farma dengy.